Much work has been done to ensure the M11 has exceptionally good sound, especially with vocal and treble. The low-pass filter has been carefully adjusted, major improvements were made to the power supply, and key components such as resistors and capacitors were upgraded – all resulting in the M11 reaching new highs in audio quality. FiiO’s engineers have worked tirelessly to make sure the M11 will sound great no matter which headphones you plug in. The thoroughly modern glass-backed design allows you to instantly make tactile connection with the M11 with just the palm of your hand. The glass back features PET coating and sophisticated carbon-fibre texture. Adding a bold splash of contrasting colour to the all-black body is a gold-coloured volume wheel, whose texture has been further improved and refined compare to previous players for an even better feel. In addition, the volume wheel is now dust resistant for even greater durability. The M11 comes with 3GB RAM that ensures smooth multi-tasking, while 32 GB of storage plus two micro-SD card slots (each supporting up to 4TB card) means you can store thousands of lossless music files. To ensure the user would have a great, powerful experience, we chose the hexa-core Samsung Exynos 7872 SoC to power the M11. With excellent performance comparable to the Snapdragon 625 and Kirin 659, you can be sure that the M11 will output your music without fail while provide an exceptionally fluid experience. Inside the M11 are two AKM AK4493 DACs decoding your music. Compare to its AK4490 predecessor, not only has the signal-to-noise ratio (SNR) been doubled, but distortion has also been reduced by 1dB for greatly improved sound quality. Inside the M11 is also a special custom-made OPA926 op-amp chip, which has a lower noise floor, lower distortion, and overall cleaner power compared to the AD8397 op-amp. And the OPA926 is only one high-quality part out of the M11’s highly optimized audio architecture design to maximize sound quality, only achieved after constant iteration and improvement on the audio circuit. With its support of Bluetooth 4.2, the M11 can transmit the SBC/aptX HD/LDAC/LHDC Bluetooth formats as well as receive most formats. The M11’s high-performance Bluetooth radio ensures you can transmit signals further with stronger overall signal strength, so nothing can get in your way of enjoying quality wireless music. When set to be in Bluetooth receiver mode, the M11 transforms into a high-quality Bluetooth amplifier, with significantly better frequency response, as well as lower distortion, noise floor, and cross talk compared to typical Bluetooth solutions. On top of that, the M11 can also output any received Bluetooth signals through the coaxial out to an external decoder so you can enjoy truly divine sound over the wireless convenience of Bluetooth. Most high-end portable music players now include balanced headphone outputs. However, the M11 goes one step further by including both the 2.5mm and the 4.4mm balanced outputs, as well as retaining the 3.5mm single-ended output. No need for cumbersome adapters with the M11 – simply just plug in your headphones to the right output jack! With the M11’s dual-band Wi-Fi radio, you can expect better signal strength as well as faster and more stable connections – especially when using Wi-Fi on the 5GHz band to avoid interference 2.4GHz Bluetooth. Adorning the front of the M11 is a large and colourful 5.15 inch 10-point multitouch screen with 1440x720 resolution, giving you amore immersive experience and more space to easily execute gestures. Nobody wants to wait for charging. 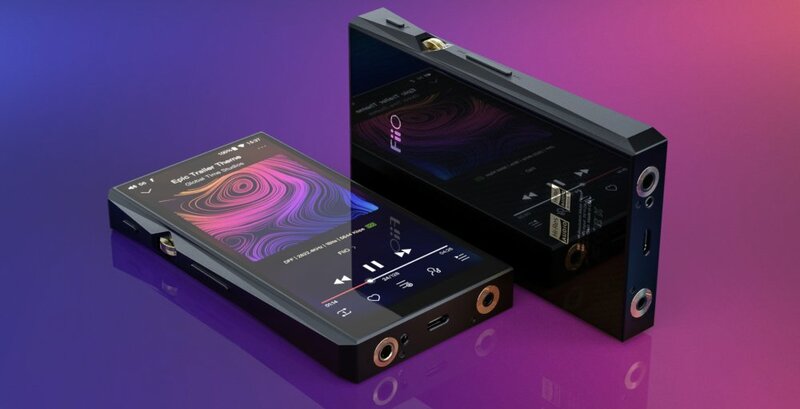 That’s why FiiO have implemented the Quick Charge 2.0 and MediaTek Pump Express quick charging support on the M11, allowing it to take only 2.5 hours to full charge its large battery. And with the considerable 3800 mAh high-voltage battery, the M11 can continually play music up to 13 hours and be placed in deep sleep standby for up to whopping 50 days. The M11 features a deeply customized version of Android 7.0 with highly optimized audio software architecture that circumvents SRC for global truly lossless audio. 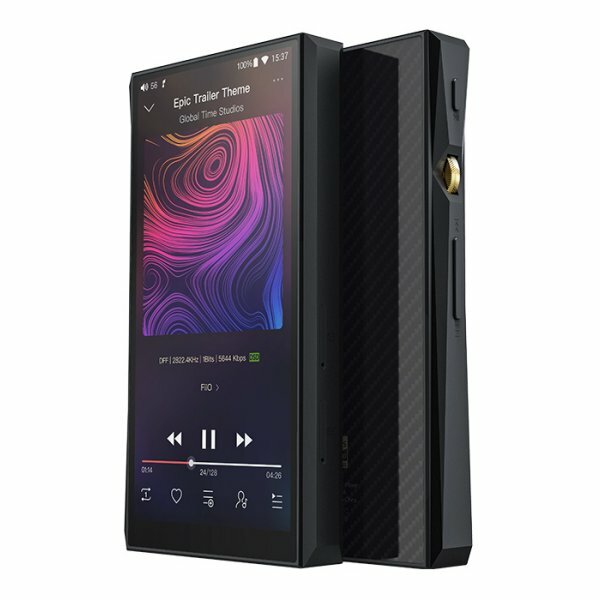 The FiiO Music app was designed for audiophiles by audiophiles, with both a user interface that provides easy access to your music and an exclusive decoding algorithm for highest sound quality possible. *NOTE: Currently the Apple Music, Google Play and Google Play related services are unavailable. 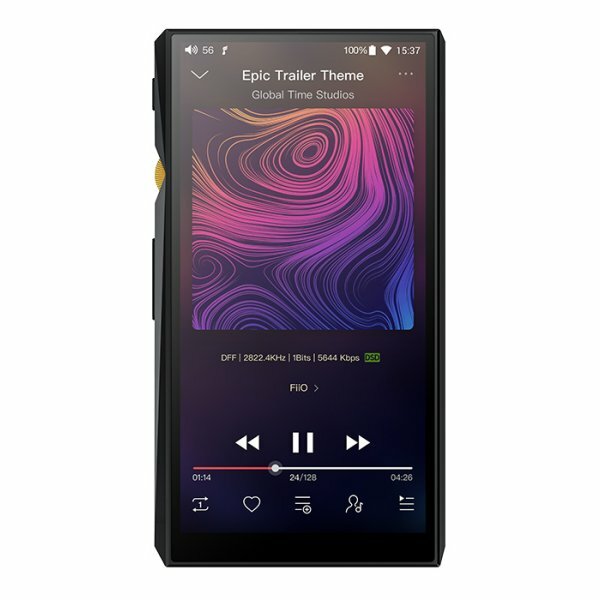 After connecting your phone and the M11 via Bluetooth with the FiiO Link functionality, you can remotely control the M11 with your phones as well as display what it’s currently playing. 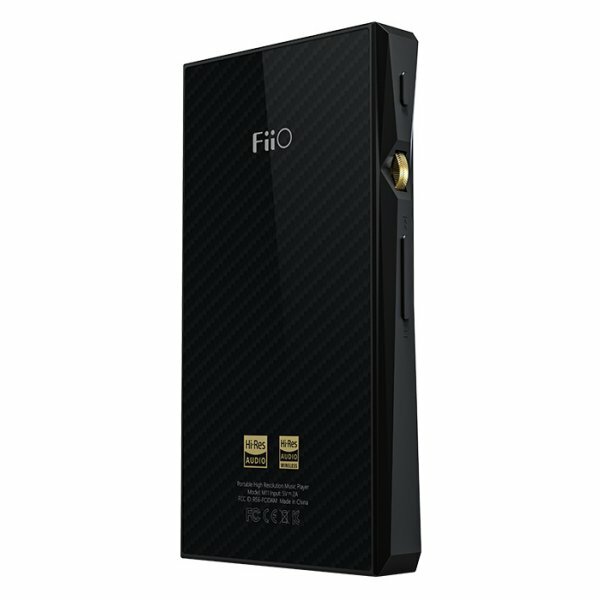 *FiiO Link is currently only supported on Android devices. Do you have so much music that you can’t even fit them onto the largest micro-SD cards? Then Simply play them through DLNA for your PC or NAS, or via AirPlay for iOS devices for the ultimate in convenience. Send songs to the M11 directly from your computer’s browser or your smartphone, saving you the hassle of hooking up the player to your computer with a USB cable. The M11 can support outputting a wide variety of formats through its USB connector, including DSD256, DoP/D2P, and native DSD modes. 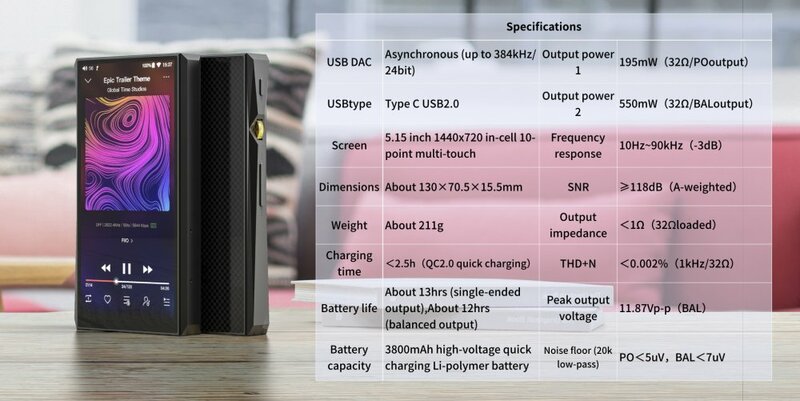 Simply connect the M11 to an external decoder, and you have a portable jukebox capable of delivering excellent sound wherever you go. Through the multifunctional coaxial output jack, you can connect to a diverse range of external speakers, amplifiers and decoders. With the All To DSD functionality, all PCM audio signals will be converted to the DSD format during the digital-to-analogue conversion process – allowing one to experience a different yet natural and clear sound. /additionally, any sounds played through 3d party apps are also affected by the All To DSD functionality. The M11 features an all-new 10 band dynamic EQ supporting adjustments up to plus or minus 12dB. Listen to the built-in pop, blues, classical, jazz, rock, dance, metal and vocal equalizer pre-sets options or adjust your own customised EQ settings to get your music sounding the way you want it to.